You can install an Office Add-in for testing in an Office client running on Windows by publishing the manifest to a network file share (instructions below). If your add-in project was created with the yo office tool, there is an alternative way of sideloading it that might work for you. For details, see Sideload Office Add-ins using the sideload command. The following video walks you through the process of sideloading your add-in on Office desktop or Office Online using a shared folder catalog. In File Explorer on the Windows computer where you want to host your add-in, go to the parent folder, or drive letter, of the folder you want to use as your shared folder catalog. Open the context menu for the folder you want to use as your shared folder catalog (right-click the folder) and choose Properties. 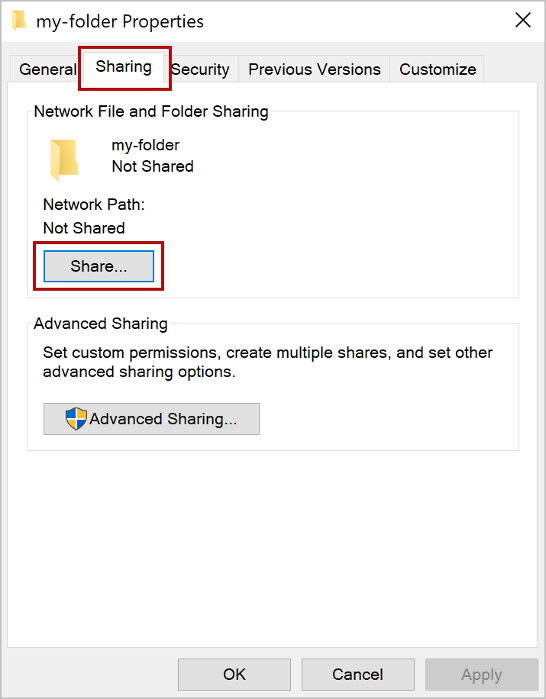 Within the Properties dialog window, open the Sharing tab and then choose the Share button. Within the Network access dialog window, add yourself and any other users and/or groups with whom you want to share your add-in. You will need at least Read/Write permission to the folder. After you have finished choosing people to share with, choose the Share button. 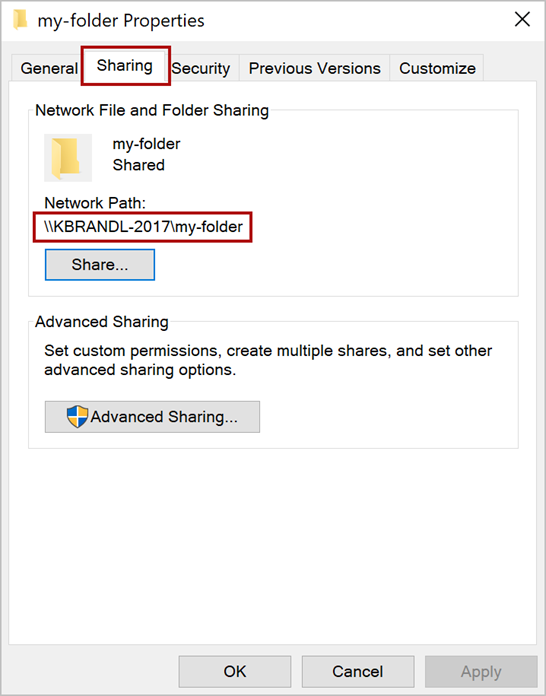 When you see confirmation that Your folder is shared, make note of the full network path that's displayed immediately following the folder name. 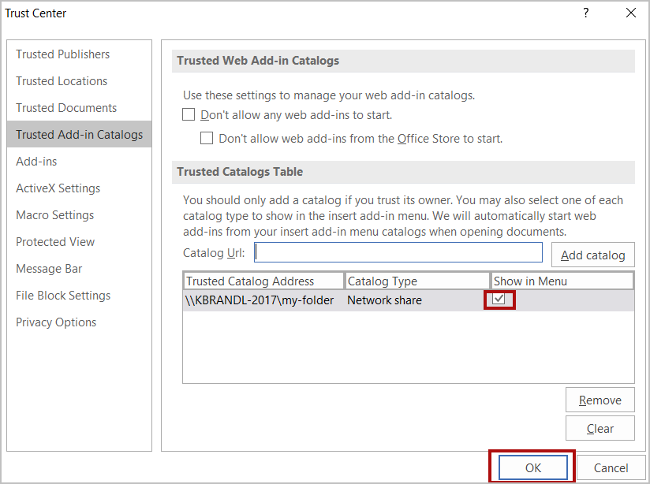 (You will need to enter this value as the Catalog Url when you specify the shared folder as a trusted catalog, as described in the next section of this article.) Choose the Done button to close the Network access dialog window. Choose the Close button to close the Properties dialog window. Open a new document in Excel, Word, or PowerPoint. Choose the File tab, and then choose Options. Choose Trust Center, and then choose the Trust Center Settings button. In the Catalog Url box, enter the full network path to the folder that you shared previously. 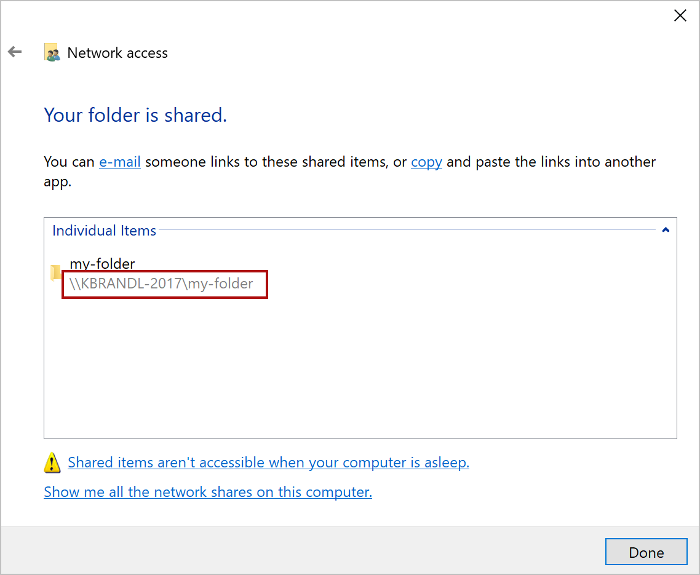 If you failed to note the folder's full network path when you shared the folder, you can get it from the folder's Properties dialog window, as shown in the following screenshot. After you've entered the full network path of the folder into the Catalog Url box, choose the Add catalog button. Select the Show in Menu check box for the newly-added item, and then choose the OK button to close the Trust Center dialog window. Choose the OK button to close the Word Options dialog window. Close and reopen the Office application so your changes will take effect. Put the manifest XML file of any add-in that you are testing in the shared folder catalog. Note that you deploy the web application itself to a web server. Be sure to specify the URL in the SourceLocation element of the manifest file. In Excel, Word, or PowerPoint, select My Add-ins on the Insert tab of the ribbon. Choose SHARED FOLDER at the top of the Office Add-ins dialog box. Select the name of the add-in and choose OK to insert the add-in.